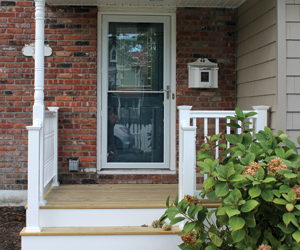 Does your home need new siding, windows, or a new roof or deck? Wolf's Construction will create the look that you desire. Let us work with you to design and update your home with the colors and products that work best for your home remodel. We only use energy star rated windows and quality siding. 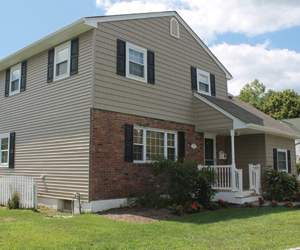 Now is the time of year to replace your siding and windows. Not only will this home improvement increase the value of your home, it will help save you money in energy costs year round. Rest assured, we do all the work ourselves and never use subcontractors. 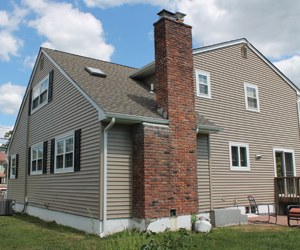 Which shows in our finished custom Windows and Siding renovations. 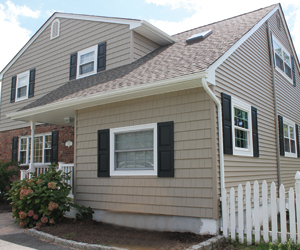 Call Wolf's Construction at 631-988-7661 to get your Free Window, Siding, Roofing Estimate. 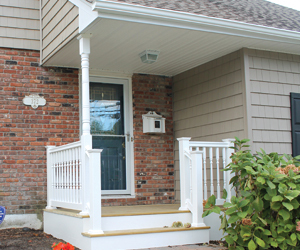 The homeowner wanted to add curb appeal to the front of their home by changing the windows and siding and building an inviting deck to their entry. 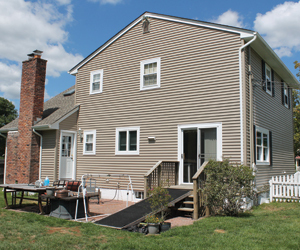 New doors and windows were also installed which not only adds curb appear to their home, but will also save them money while they are living in their home.